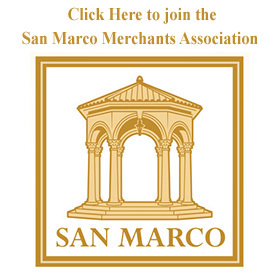 The San Marco Preservation Society was formed in 1975 as a non-profit corporation to protect the integrity of the San Marco residential neighborhood and to enhance the revitalization of the business district. Many active members have succeeded in keeping the old-world charm and character of San Marco intact. South Jacksonville City Hall at 1468 Hendricks Ave is the organization’s business office. San Marco Preservation Hall, a Jacksonville historic landmark, was built in 1888 as St. Paul’s Episcopal Church. 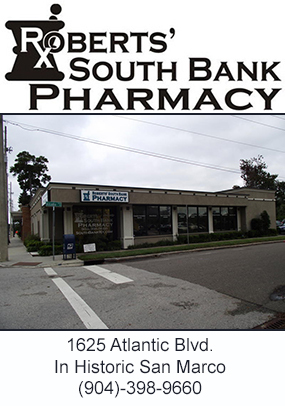 In 1994, this beautiful and charming building was moved to Fletcher Park at 1652 Atlantic Boulevard and renovated. It is operated by the Society and is frequently used as a rental facility for weddings, parties, and meetings. -Representation of San Marco’s interests to city government and active participation on zoning and government action issues. -Restoration and maintenance of San Marco’s historic charm and character. 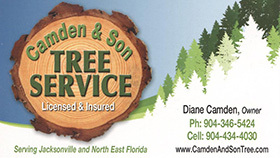 -Maintenance and enhancement of the area parks and recreation facilities. -Fun family events such as the Concerts in the Park, Dog Days of Summer and the Remote Control Boat Regatta. -Popular holiday events such as the annual Luminaria, the live Nativity and the Home Tour every other year. -Annual Beautification Awards for residents and businesses in San Marco. -Regular Newsletters and General Membership Meetings to keep residents and business owners informed. Membership is encouraged, and you don’t have to live in San Marco to become a member. Please consider joining to help keep San Marco one of the best communities in Jacksonville!